From general requirements to specific fields of application, our training courses help organizations to minimize risk by ensuring personnel are appropriately trained, to reduce the likelihood of product liability claims. Our training modules are tailored to meet your needs. We deliver the broadest range of training opportunities, from short introductory sessions devised for decision makers, to modules designed for hardware and software developers, as well as in-depth training weeks culminating in personal qualification exams. 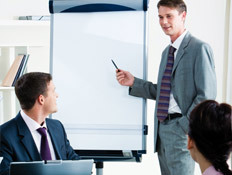 In addition, we can develop tailored courses and workshops to meet you organizational needs. Let us design a bespoke solution that caters to your specific topics of interest that will benefit your day-to-day operations. Contact SGS today to book functional safety training. In the case of safety-relevant systems the demands made on the software development process exceed the quality requirements which are high to begin with. In this training module the application of the software safety lifecycle and the interpretation of the techniques and methods to be selected are explained in an illustrative manner.